Getting TEFL certified to teach English doesn’t have to cost an arm and a leg! With our exclusive coupon you can save even more and get one step closer to living the dream abroad. 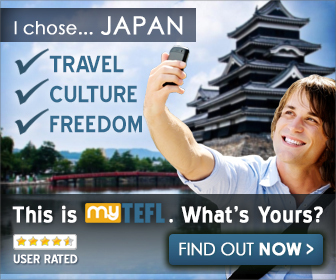 As we’ve said before it’s not easy finding a proper online TEFL course. Question: What if you signed up for a course and it ended up lacking the content necessary to advance your skills? Or even worse when you need help you find yourself waiting days on end for a response? 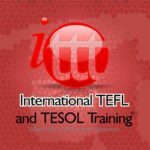 Since launching Best Online TEFL we have received countless e-mails regarding teaching ESL. 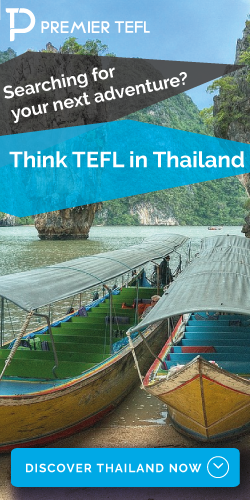 Most e-mailers are interested in Thailand and that comes as no surprise as it is our #1 ESL destination for a number of reasons. Asia is a popular destination for teaching for a plethora of reasons, one being that the lifestyle offered is second to none. Middle-Class salaries, low cost of living, delicious food and best of all, a new experience. Just a microcosm of the benefits traveling and teaching ESL. Don’t forget all the people you’ll meet and memories you’ll create. The questions is how serious do you want your prospective employer to take you? You may of heard us say it before but the bottom line is the best ESL jobs will be looking for some kind of teacher training. Usually in the form of a TEFL, CELTA or TESOL. We’ve already listed our most trusted online TEFL websites in our 2016/2017 review. Today we want to step that offer up and help those on the edge of decision make a commitment to the adventure of living abroad. It all just got a bit more realer because Premier TEFL, one of the more well known online TEFL companies just created an exclusive coupon for our readers. If you’ve ever thought about living in another country and experiencing a new culture then this is for you. Become an expert and show employers that you do take this seriously. Don’t forget that Premier TEFL will also offer expert advice with finding work after completing their accredited course. Once you sign-up just copy and paste this code before purchasing and you’ll only pay half what everyone else is paying. Well for starters they are a wonderful group of people to interact with. 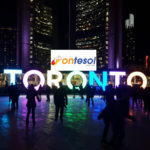 Super-responsive and friendly staff that wants to help you live your ESL adventure. Also, sometimes the hardest and most uncomfortable thing to do is be unprepared for what’s ahead. That’s where the TEFL training can give you an advantage, not just for the sake of getting a job but for the sake of being a good teacher. Premier TEFL has a very high approval rating and overwhelmingly positive reviews that tells us they have a solid, well maintained program. Not only that they back all this up with their global accreditation that proves their courses were inspected and meet international standards. Getting qualified to teach English, buying a plane ticket and accommodating yourself until your first pay day isn’t cheap. It’s never a good idea to go with the cheapest company but also defies economical logic to choose the most expensive. You need to get the best value for your money. Again you won’t find this coupon anywhere except here so we hope this motivates you to take the next step towards sparking your ESL adventure. Especially if what is stopping you is the cost!